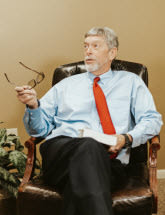 H. Kent Aguillard has practiced law in excess of 36 years. He specializes in bankruptcy, reorganization, and commercial litigation. He represents debtors, creditors, institutions and businesses in a variety of commercial and bankruptcy matters. His representation also includes bankruptcy trustees and committees. He is a member of the Louisiana Bar Association and past member of numerous professional and specialty bar associations. He is a past member of the Committee on Bankruptcy Specialization of the Louisiana Bar Association is serving a term on that committee ending in 2017. Mr. Aguiilard has a strong moral code and believes there is no right way to do the wrong thing. He is admitted to practice in all federal courts in Louisiana and Texas, the United States Court of Appeal for the 5th and 6th Circuits, and has numerous pro hac vice admissions. Legal Research and Writing Louisiana State U. at Eunice; L.S.U. Bankruptcy Seminar, numerous other lectures given for local and specialty bars. "In the midst of a storm - you need help from experienced professionals who know the law and the Lord. "God is our shelter and strength, always ready to help in times of trouble." Psalm 46:1"
M. Terrance Hoychick, A.P.L.C. and H. Kent Aguillard are not a law partnership nor are do they practice law as a firm. Each has his own practice and they share office space, overhead, and a common website. M. Terrance Hoychick, A.P.L.C. & H. Kent Aguillard represent clients throughout Louisiana, including Eunice, Lafayette, Lake Charles, Alexandria, New Iberia, Opelousas, Sulphur, Crowley, Abbeville, Jennings, Moss Bluff, De Ridder, Oakdale, Ville Platte, Rayne, Breaux Bridge, Scott, Carencro, Basile, Elton, Kinder, Oberlin, and St. Martinville. We practice in parishes all across the state, including St. Landry Parish, Lafayette Parish, Calcasieu Parish, Rapides Parish, Iberia Parish, Acadia Parish, Vermilion Parish, St. Martin Parish, Avoyelles Parish, Evangeline Parish, Beauregard Parish, Jefferson Davis Parish, and Allen Parish.